Bookvip - Can't Find Booking Vip in Miami, FL on the BBB website!! 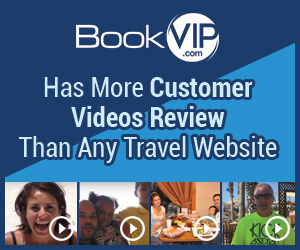 Thank you for your interest in BookVIP. As the fastest growing travel company in the world, we always happy to assist potential new customers. Providing excellent customer service is our main goal and all of our customer service agents are highly-trained and qualified. I am trying to look up the BBB A+ rating you claim to have. When I search "Booking VIP" in Miami, FL there is no results. I would like to see how your company is actually rated, do you operate under a different name?? Can you please give the consumers proof that your company has an A+ rating with the Better Business Bureau. Also, is there any independent ratings out there that are not tied to your website. Verified reviews would be preferable and probably a little more believable as the reviews on the website probably are biased. Review #896798 is a subjective opinion of User896798.